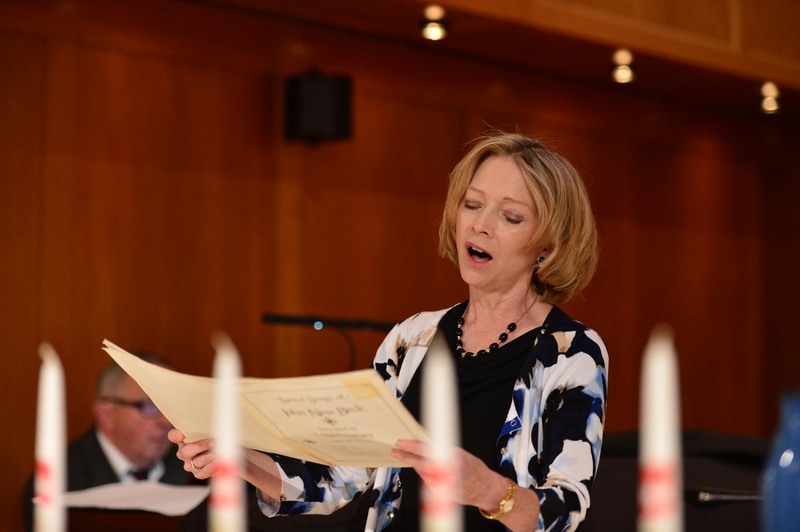 Each Sunday worship features music provided by various musical talents such as our Chancel Choir and organist, as well as featured guest musicians who perform regularly at many First Federated Church services. Our Chancel Choir sings weekly during the 10 a.m. worship services from September through May. It also performs a remarkable Christmas Cantata in December and a Psalm Sunday production in May. High school students and adults are invited to join us. Rehearsals are held on Thursday evenings from 7:00 to 8:30 p.m.
Our Hand Bell Choir participates in the worship service periodically and is open to all adults (high-school age and older). Rehearsals are held on Thursdays prior to choir practice. There are additional periodic opportunities throughout the year for musical talent…both vocal and instrumental through solos and small group ensembles. We especially enjoy extra talent during major worship services such as Christmas and Easter.